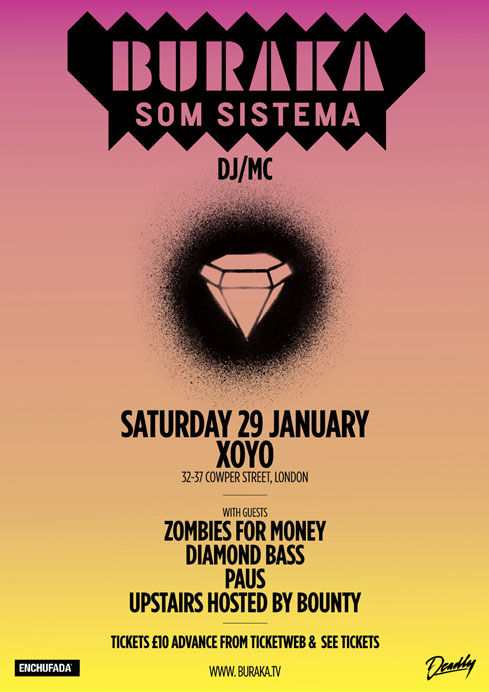 Electro mad cats Buraka are back in London tomorrow with a gig at XOYO. To celebrate they’re giving away a mix they did for Dazed Digital earlier this month. This entry was posted on 28 January, 2011 at 1:14 pm and is filed under Stream with tags buraka som sistema, electro. You can follow any responses to this entry through the RSS 2.0 feed. You can leave a response, or trackback from your own site.